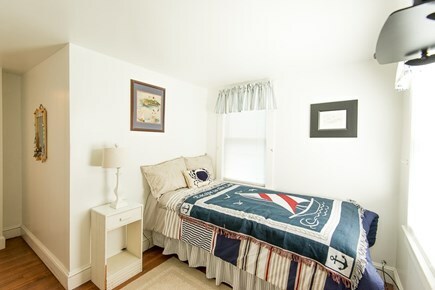 This spacious 4-bedroom, central a/c which was completely renovated in 2018, 1 1/2 bath Cape Cod Captain's home sleeps 10, outdoor hot shower area, has been completely renovated, and is ~1/2 mile walk to the ocean/ beach. There is a large yard and outside eating area with plenty of outdoor furniture. Located right off the Mid-Cape highway at Exit 9A. 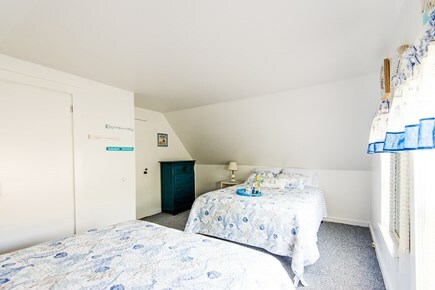 Comfortably sleeps 10 with very large bedrooms. . The Captain's Suite bedroom on the first floor has a king size bed. 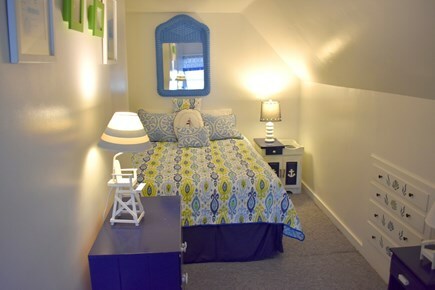 The Boswains room has a single craft-matic type bed for anyone who may have special needs. The Ships Crew room has a set of queen beds. The Pirates Hideaway room with a queen bed. There is a sofa sleeper on the first floor to optimize sleeping arrangements. All beds were replaced 2018 and are very comfortable. Helmets are required, but not provided you will need to bring yours. Locks for bicycles are provided. Linens and Bedding all provided at no additional charge. All sheets, pillow cases, blankets, pillows, comforters, towels, washcloths and even extra large beach towels are provided. 3 amazing beaches all very close and in walking distance or a short bike ride. Enjoy dozens of DennisPorts best restaurants, beaches, bars, ice cream hot spots all within a 1 mile radius including The Wooden Shoe, The Ocean House, Sundae School, Clancy's, Cream 'N Kone, The Oyster Company (only 4 doors down), Ebb Tide, The Red Nunn, and the list goes on and on. Dennis has great public golf courses, including Dennis Highlands and Dennis Pines. Interested in a day trip to the Islands? The Harwich Port-Nantucket ferry is just down the road. Day trips to Martha's Vineyard are close too. Chatham is only 5 miles and is great for a sunny day of shopping or brunch. Day trips to Provincetown night life, Truro vineyards or the flea markets in Wellfleet, the largest on Cape Cod. This is also where you also see your favorite movies inside or at the Wellfleet Drive-in. 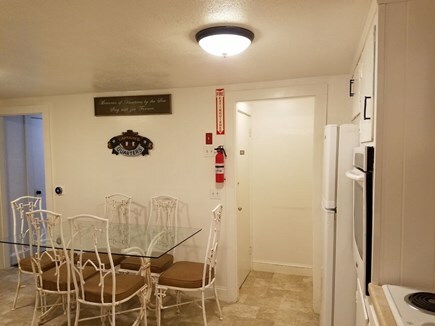 Other activities very close by are go-carts, mini golf courses, pirate museums, kayak rentals, arcades, and gift shops, paddle boats and so much more all within a a few miles radius of the front door. Additional availability info: New 2019 a mandatory 12.45% tax is additional to the daily/weekly rates and cannot be waived. This is a Saturday to Saturday vacation rental. Additional pricing info: 7 night minimum stay from June 1 - August 31, State and local taxes of 12.45% will apply. We had an amazing stay in this house over Labor Day weekend. It was a last minute booking for us, we were lucky that the place was available. Mike was very responsive and got all paperwork done very quickly. When we arrived very late in the evening we were greeted by Mike and by a bottle of wine and some toys for kids, which was a nice touch. 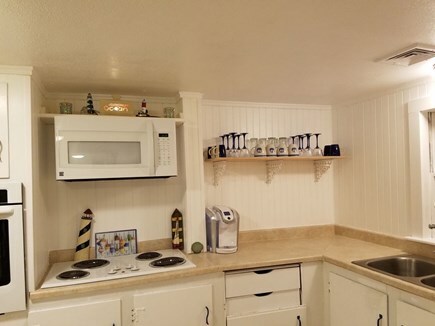 The house has everything you need, linens, towels, stocked kitchen. Loved having AC on, as it was very hot outside. On our departure date, kids got treated to fresh brownies and ice cream, delivered by Mike. They will never forget it, this kind of special treatment. Thanks again, Mike, for making our short stay so memorable! My guests and I were welcomed into Mike's and Dave's vacation rental home as if it was our own. The home was exceptional in that it offered everything you would need including a 4K TV. The kitchen was well stocked with great pots, pans, utensils, plates, glasses and silverware. The refrigerator was my favorite because it was large, clean and included two complimentary bottles of bubbly, which was a very nice surprise after a four hour drive. Who offers fresh flowers in the kitchen, living room and bedroom? They do. The living room was very comfy. My master bedroom had enough drawer space for the week and more. Also, the closet was more than adequate. My guests stayed in the other bedroom downstairs and the single bedroom upstairs. We all agreed that the beds were comfortable, which was also great. 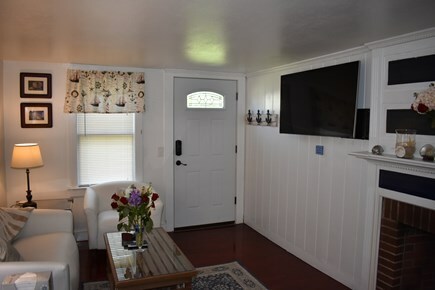 All the amenities for the home were offered for each room, which included throws for the couches, extra towels for the bathrooms, dishwashing liquid and sponges for the kitchen. Everything i expected and more was given. 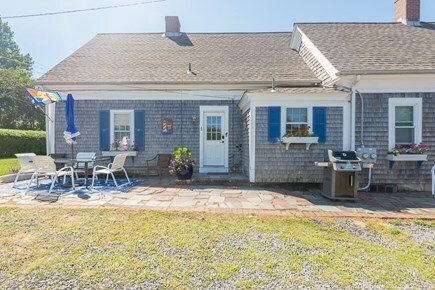 This quaint Cape Cod home is close to restaurants and beaches. Bicycles available for vacationers to use. Beaches are within walking, biking and driving distance; some with amenities (showers, bathrooms and snack shack). Within an hour of P Town and Woods Hole (Martha's Vineyard Ferry). Many local activities and shopping near by (boat rentals, Chatham).